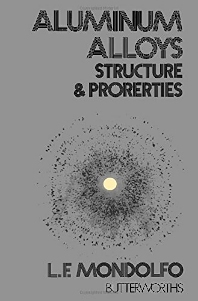 Aluminum Alloys: Structure and Properties is a reference book that provides a concise description of the practical aspects of structures and properties of aluminum alloys. The book first covers the traits of pure and commercial aluminum, which include the composition, physical and thermal properties, and radiation. Next, the text covers the various classifications of aluminum alloys, such as binary, ternary, and commercial alloys. The text will be of great use to metallurgical engineers, inorganic chemists, and other researchers and practitioners who deal with aluminum and its alloys. Very god book with lots of data.